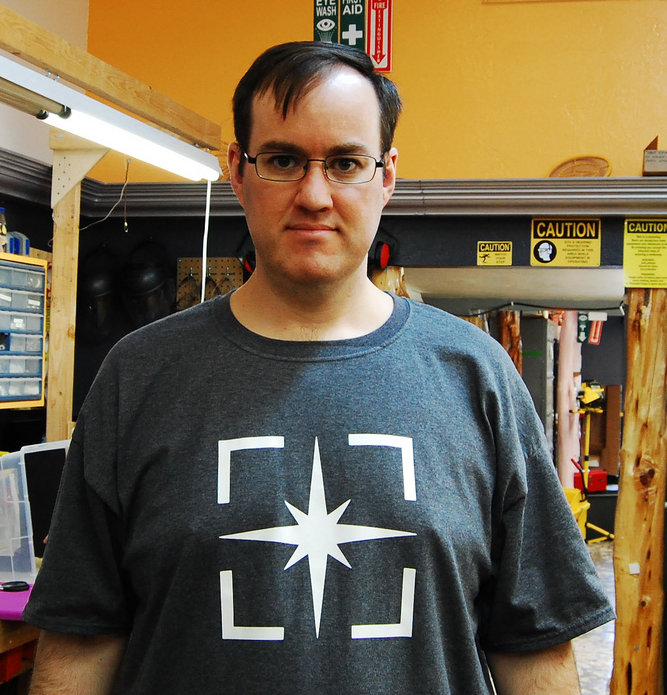 Today I put my own design on a shirt at TechShop, then hosted Laser Night at HeatSync Labs. 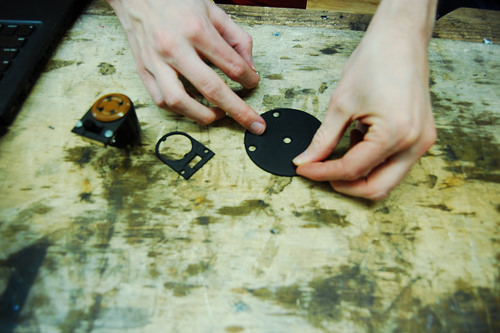 Some laser cut parts for a vacuum pump mount and a magnet holder. 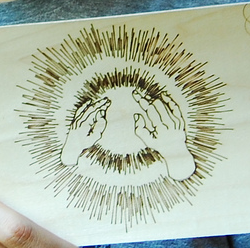 A cool engrave design that was particularly fun to watch. It wasn't done as an engrave just a cut with low settings to avoid burning through the wood. We did burn through the wood accidentally at first. It was a thin veneer. We forgot to select the settings we chose from our initial test cuts. Overall great night for laser projects. I plan to host another.